What’s the most important “heartfelt” holiday celebrated in February? You get points for knowing Valentine’s Day is on the 14th, but did you also know February is American Heart Month? The goal throughout the month is to raise heart disease awareness, the leading cause of death for men and women in the United States. Then on the first Friday in February we celebrate National Wear Red Day where we not only get to make a fashion statement, but we can use it to remind women they may be at risk of heart disease and not know it. I hope you agree February is the perfect time to show our love for the ones we love by helping them take steps to keep their hearts healthy! Now for a harder question: How can we celebrate Valentine’s Day right smack dab in the middle of heart health awareness month and still be kind to our hearts? One simple answer is to have sweet celebrations, with less added sugars. Both the American Heart Association and the Dietary Guidelines for Americans recommend cutting back on added sugars, and using SPLENDA® Sweetener Products is an easy way to do just that! 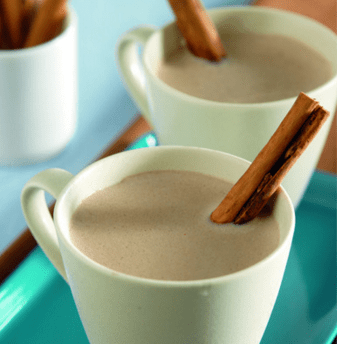 To help you get started I’ve collected some of my favorite chocolate dessert and drink recipes from the SPLENDA® collection – all with less added sugars. As you will see, using SPLENDA® Sweetener Products in place of full sugar isn’t the only way these recipes are made more heart healthy. They also use vegetable oils or soft spreads instead of butter and fat-free milk instead of whole to reduce the saturated fat content. By making those substitutions and using SPLENDA® Sweeteners instead of full sugar, the caloric content of the recipes is also lowered to help with weight management. And another way you can cut the calories of any dessert is to simply cut the serving size in half! If you have questions about the health benefits of chocolate, please read my earlier blog about the Health Benefits of Chocolate. 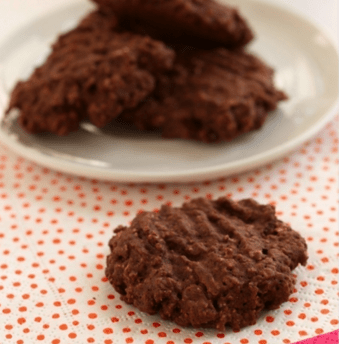 Combine flour, oats, cocoa, baking powder, and salt. In bowl of electric mixer, beat margarine and SPLENDA® Sugar Blend on medium speed 1 to 2 minutes, or until light and aerated. Beat in eggs for 1 minute, or until light. Beat in extracts. Stir in dry ingredients. Drop teaspoons full of dough onto lightly greased baking sheets and flatten each with the back of a fork dipped in water. Bake 8 to 10 minutes in preheated oven, or just until puffed and no longer shiny on top. Cool on sheets 5 minutes. Remove to wire racks; cool completely. Preheat oven to 350° F. Lightly spray a cookie sheet with vegetable cooking spray; set aside. Bake almonds in a shallow pan for 6 to 8 minutes, stirring once, or until lightly toasted. Set aside. Beat SPLENDA®Granulated Sweetener, 3 eggs, and milk at medium speed of an electric mixer for 3 minutes or until mixture is smooth and pale yellow in color. Beat in extract. Combine flour, cocoa, baking powder, baking soda, and salt; add to SPLENDA®Granulated Sweetener mixture and beat on low speed until a stiff dough forms. Stir in almonds. Turn dough out onto a lightly floured surface, and knead lightly 4 or 5 times. Divide dough in half; shape each portion into an 8-inch log. Place logs on prepared cookie sheet and flatten to 3/4-inch thickness; brush with beaten egg white. Bake for 20 minutes or until puffed and golden brown; reduce oven temperature to 325° F. Remove from baking sheet to a wire rack; cool 10 minutes. Cut each log diagonally into 1/2-inch thick slices with a serrated knife, using a gentle sawing motion. Place slices on cookie sheets. Bake 10 minutes; turn cookies over, and bake 10 additional minutes. Remove to wire racks to cool. Bake walnuts in a shallow pan, stirring occasionally, 5 minutes or until toasted. Set aside. Beat egg whites and vanilla at high speed with an electric mixer until foamy. Add SPLENDA®Sugar Blend, 1 tablespoon at a time, beating until stiff peaks form; stir in walnuts and chocolate morsels. Spoon rounded teaspoons of mixture onto baking sheets lined with parchment paper. Bake for 15 minutes in preheated oven. Drop oven temperature to 200° F. Bake for one hour and 45 minutes. Cool slightly on cookie sheet. Remove to wire racks to cool completely. Store in an airtight tin. Whisk water, cocoa powder and SPLENDA®Granulated Sweetener in a saucepan. Slowly bring to a simmer over medium heat, stirring constantly. Cook until mixture thickens and resembles a syrup. Mix in remaining ingredients and heat. Do not boil. Serve hot. Of course, eating a heart-healthy diet is important all year long if you want to reduce your risk for heart disease. Using a sugar substitute like one of the SPLENDA® Sweetener Products in place of full sugar can help you with the goals of reducing your added sugar and calorie intake and with achieving and maintaining a healthy weight. This is a sponsored post developed for The Coca-Cola Company, but all content is my own. It’s February again, and that means it’s American Heart Month. With all of the health information out there, it can be hard to figure out how to work heart healthy choices into your daily routine. By keeping a few simple tips in mind for foods, beverages and overall health, you can make small changes this month that will benefit your heart all year round. A balanced healthy eating plan that is low in saturated fat and sodium and full of fruits, vegetables, beans and lentils, nuts and seeds, fish, high-fiber whole grain breads and cereals will help improve heart health. Select from this wide variety of meal options and make heart-healthy choices all day long. Smoothie made with frozen fruit, fat-free milk and flax seed or wheat germ. Ready-to-eat high-fiber whole grain cereal or cooked oats prepared with fat-free milk, raisins or other dried fruit. Parfait layered with cut-up fruit, low-fat yogurt or cottage cheese and low-fat crunchy granola. Corn meal pancakes or whole grain waffles topped with fruit and a dollop of fat-free ricotta cheese. Whole wheat wrap spread with natural peanut butter or low-fat cream cheese with sliced pears or chopped peaches. Corn tortilla filled with black beans, salsa and shredded reduced-fat cheddar cheese. Base your mid-day meal with vegetables, then add low-fat dairy and whole grains for a balanced plate. Roasted vegetable salad with turkey, fresh spinach and light vinaigrette, plus a whole wheat roll with mashed avocado. Easy vegetable soup made with low-sodium tomato juice, frozen mixed vegetables and canned beans, plus whole wheat crackers with low-fat cheese and spicy mustard. Lean beef slider with caramelized onion on potato roll, plus Napa cabbage slaw tossed in reduced-fat mayonnaise and a baked apple topped with low-fat Greek yogurt and toasted walnuts. Choose lean proteins like chicken, fish and certain cuts of beef and flavor them with fresh or dried herbs and spices for a satisfying meal lower in fat and sodium, and healthier for your heart. Stir-fried sirloin steak strips and portabella mushrooms over quick-cooking brown rice, plus garlicky green beans and cucumber salad with dill for sides. Black bean veggie burger on multigrain bread with sliced red onion, plus roasted half acorn squash filled with chopped apple, honey and cinnamon and broccoli and bulghur pilaf sides. Sautéed shrimp and cherry tomatoes over orzo with crumbled reduced-fat feta cheese and grilled zucchini basted in olive oil, plus kiwi and strawberry slices over arugula with balsamic vinaigrette. Reducing calories and smart snacking can go hand in hand, just watch your portion sizes. Air-popped popcorn, roasted and seasoned chickpeas, melon cubes, unsalted nuts, citrus sections, dried dates or figs, steamed edamame, bowl of berries, banana chunks dipped in light yogurt, nut butter on whole grain crackers or frozen seedless grapes. Select portion-controlled versions of your favorites, like Coca-Cola mini cans, packs of almonds or pre-portioned desserts for a meal that won’t break the calorie bank, helping you manage your weight for better heart health. Maintaining a healthy body weight can reduce the risk for heart disease, and this requires knowing how many calories you eat each day. But aside from weight and calories, it’s important to know all the factors that contribute to heart health. Be sure to talk to your doctor about lipid levels (cholesterol and triglyceride), blood pressure, fasting glucose (blood sugar), Body Mass Index and weight circumference numbers, and discuss any changes to your routine that can improve your heart health this February and beyond. Robyn Flipse, MS, MA, RDN is a registered dietitian and cultural anthropologist with a focus on the societal forces continually shaping eating behavior and food trends. Her 30+ year career includes maintaining a busy nutrition counseling practice, teaching food and nutrition courses at the university level, authoring two popular diet books (The Wedding Dress Diet and Fighting the Freshman Fifteen) and numerous articles on diet and health and her high-traffic blog, TheEverydayRD. Today she is multimedia spokesperson and consultant to global food and beverage companies, including The Coca-Cola Company. Does Chocolate Deliver Health Benefits? Have you ever stopped to think about why the iconic heart we see everywhere for Valentine’s Day is the symbol of love? I did, and after a little research I learned that in ancient times people believed the heart was the center of all human emotions because it was in the center of the chest. That isn’t a very scientific explanation, but I can’t argue with it since we still don’t have a better answer. Then I started to wonder how chocolate become part of the “love story.” If you love chocolate, you’ll be happy to learn there is a scientific connection! First, a brief anatomy lesson. The heart is a pump that pushes blood through a network of more than 60,000 miles of blood vessels made up of arteries, veins and capillaries. Together the heart and blood vessels are referred to as the cardiovascular system and its job is to deliver essential nutrients and oxygen to every cell in the body. As we age our blood vessels become less flexible, making it harder for them to expand and contract with changes in blood flow. This can increase the risk of heart attack, stroke and other cardiovascular diseases. Flavanols are naturally occurring compounds found in many plants, including the cocoa beans used to make chocolate. Research has shown that when we eat certain types and amounts of these “cocoa flavanols” they can have effects on blood vessels that may help keep them more elastic and therefore make the cardiovascular system work better. Is Eating Chocolate Good for the Heart? Just like any other food, all chocolate is not created equal. Differences in the seeds that are planted to grow a cocoa tree, to differences in the way the cocoa beans are fermented, dried, roasted, liquefied and combined with other ingredients to make the chocolate we know and love can affect the flavanol content of the finished products. And contrary to popular notions, the darkness of the chocolate, or percent cocoa, is not an indication of flavanol content. At present there is evidence that cocoa flavanols can be good for our hearts. Studies have shown these flavanols can reduce the clumping of platelets that create plaque in the arteries, and may help protect against higher blood pressure and reduce levels of harmful oxidized LDL-cholesterol in the blood. And further research indicates that what’s good for our hearts is good for our brains! The only problem is that the science is still evolving on how much cocoa flavanol we need to eat to be sure of benefits, and products made with cocoa don’t always have a meaningful amount of flavanols. We can still enjoy the undeniably delicious taste of chocolate just for the pleasure it brings us while following the Diet and Lifestyle Recommendations of the American Heart Association to help keep our cardiovascular systems strong. And when we prepare chocolate treats using a no-calorie sugar substitute, like SPLENDA® No Calorie Sweetener, we can enjoy that chocolaty-sweet taste with fewer calories and carbohydrates from added sugar. My all-time favorite chocolate recipe is this Chocolate Pudding Cake because it combines the comfort of a mug of rich hot chocolate with the decadent satisfaction of a warm chocolate cake. You might also want to try these Chocolate-Chocolate Cupcakes. They’re made with ½ cup cocoa powder and are so moist and flavorful that the Rich Chocolate Frosting is optional. For those who like their chocolate creamy and smooth, this Chocolate Pudding with Strawberries is the way to go. 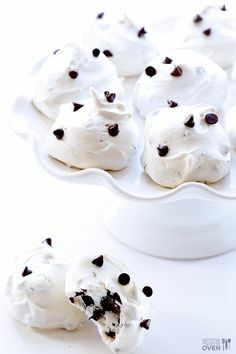 It’s made with skim milk and fat free whipped topping to help with reducing the calorie and fat content. 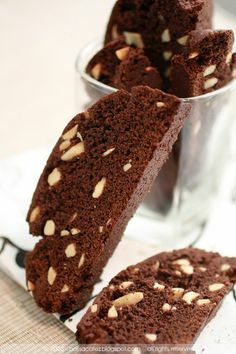 And if you prefer a little crunch with your chocolate, you can whip up a batch of these Chocolate-Almond Biscotti. They’re perfect with a cup of flavored coffee at just 60 calories each. Food Timeline: Valentine’s Day Candies. American Heart Association. The American Heart Association’s Diet and Lifestyle Recommendations. As we all know by now, Michelle Obama wore a red dress to the inaugural ball. When she made her appearance it answered the biggest question since the election, “Who designed her gown?” I’m sure no one was thinking about her choice as a symbol for heart disease awareness in women. But if seeing that Jason Wu gown was a reminder to women to learn our risk factors to prevent heart disease, it may have saved many lives. One woman out of every four in the United States will die from heart disease this year. Knowing the heart facts represented by that red dress is important for us all, but even more so for African American women whose rates of heart disease are twice those of white women. Any disease affecting the heart or the blood vessels that supply blood, oxygen and nutrients to it is a form of heart disease. It includes hypertension (high blood pressure), stroke (loss of blood to the brain), dysrhythmias (abnormalities in heart rhythm), cardiomyopathy (disease of the heart muscle), congestive heart failure (inability to pump sufficient blood), inflammatory heart disease (inflammation of the heart muscle) and rheumatic heart disease (infection in the heart). These are not just diseases that happen to men or old people. Heart disease occurs in women at the same rate as men, and at any age, but women are much less likely to pay attention to the early warning signs. That’s a problem because there is no cure for it. No pills, no procedures, no surgery can make heart disease go away. Once you have it you’ll always have it. Early intervention is the only way to minimize the damage and extend the quality of one’s life. So what are we waiting for ladies? What Can We Do To Prevent Heart Disease? The risks for heart disease fall into two simple categories: Risks you can’t change and those you can. Age and family history fall into the first category. Smoking, being inactive or overweight are in the second. I love this handy wallet card that lists the questions you should ask your doctor to find out your personal risk of heart disease. It provides a place to record the all-important “numbers” that help determine your risk, explains what the goals are for improving those numbers, and suggests things you can do to lower them. One recommendation is to adopt a heart-healthy diet, which is good for the entire family. Are you ready to get started? With Valentine’s Day just around the corner, there will be plenty of red dresses to remind you. Once you know how to prevent heart disease, be sure to share the red dress story to raise heart disease awareness in your daughters, sisters, nieces, aunts, mothers, and other women in your life so they can lower their risk, too.